Ready to sell your house? 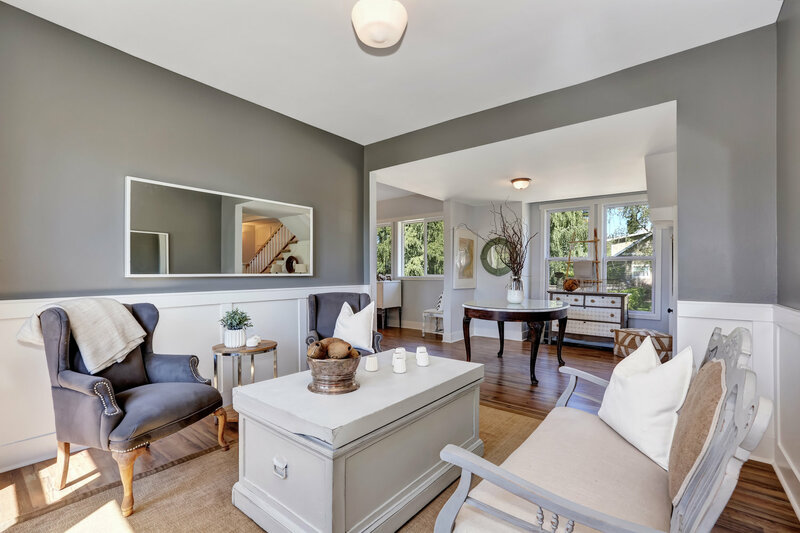 Here is 10 staging tips to get your home prepared for the market. When listing a house, no matter the price range, you want to make sure it’s presented in the best light.You wouldn’t buy a pre-owned car at the top value if it was filled from top to bottom in someone’s personal content and filth would you? This is the same mindset you need to carry in selling your home in order to get more buyers in the door and more offers in your hand. The best thing you can do before listing your home for sale is to get rid of all of your clutter! Make a rule for your home that for every new piece that comes in, one must go. One of the biggest factors to a cluttered home is too much furniture. Generally, in a professional staging, half the home owner’s furniture is removed to make the house look much bigger. Look around your house and see what you can pack away. It’ll be worth the investment to get a storage unit for a couple of months to store away a lot of your furnishings and goods. Keep in mind that you will be packing up soon, anyways, so you might as well start now! The simple trick to toning down dated finishing in any space is a little bit of fresh paint. You don’t want to go stark white, but look into neutral grey and beige colors. Picture model homes at new construction sights. Builders use neutral colors to not through off potentional buyers looking at the house to purchase. Not everyone has “a good eye” for design and is able to look through these personal touches. Sticking to a neutral color to draw in the majority of what buyers like make it easier for buyers to picture themselves in the house. If you want to make a room bigger than it is, paint the room the same color as an adjacent room. For small kitchens and dining rooms, a seamless look will make the space feel like one, open it up, and make it seem much larger. Using drapes that match the wall colors can also add an emphasis to the room’s size. For closets, my rule of thumb is 60% full. This makes buyers believe they can fit more of thier items in the closets instead of thinking they are too full to fit their own items. Aside from de-cluttering, the most important step to staging your home is to clean it. A dirty house is a quick turn-off for potential buyers. Most homes, especially with children and pets, and smokers, have a smell that may go undetected to home owners, but are quickly picked up by strangers. Be sure to have your home professionally cleaned prior to staging to appeal to all buyers that your home is nice and fresh. A clean home shows that you took care of the house which makes buyers feel better about making the purchase. For more tips and to schedule a one-on-one consulation about your house before listing it on the market, call The Pearson Group at 469-222-0008.